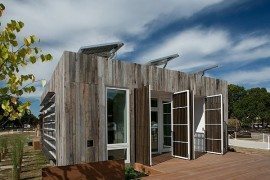 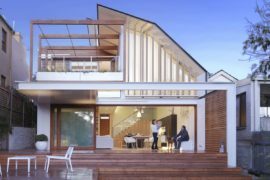 Creating a sustainable and green home with smart energy-efficient features is not always about cramping it with latest high-end gadgets that promise to reduce your carbon footprint. 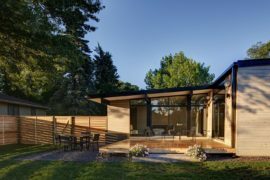 At times, all you need is intelligent architecture, smart design and an understanding of the local terrain and weather conditions. 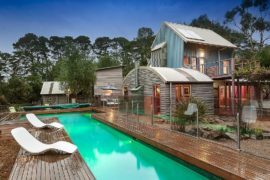 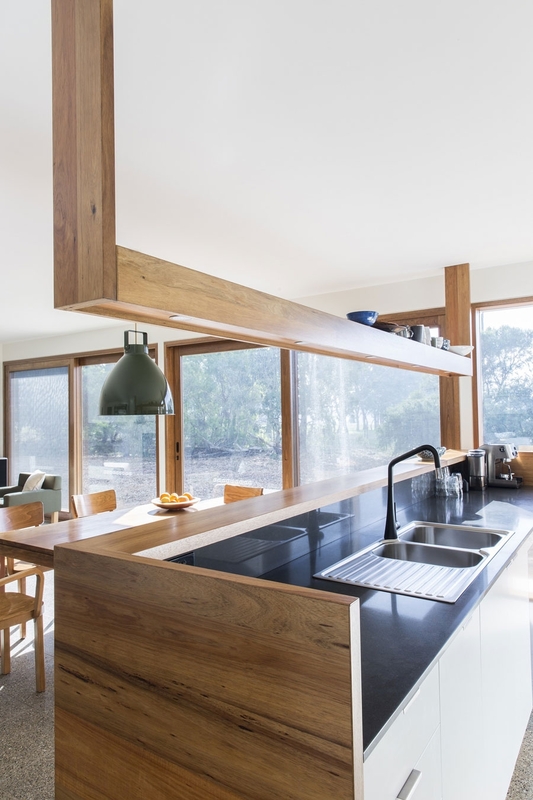 Conceptualized and brought to life by Aussie architectural firm Cooper Scaife Architects, the rustic Leura Lane House is a wonderful case in the point with its unique skillion roof, wooden exterior and passive design attributes combining to create the perfect eco-friendly home. 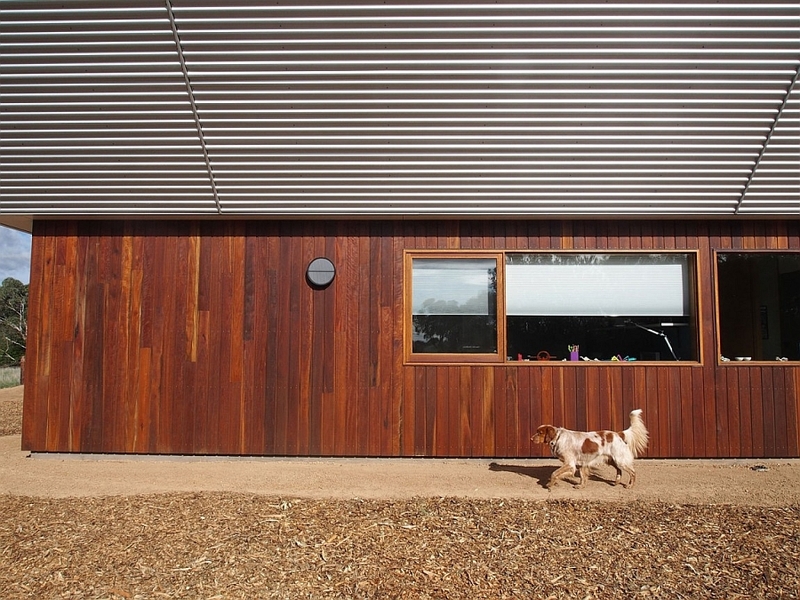 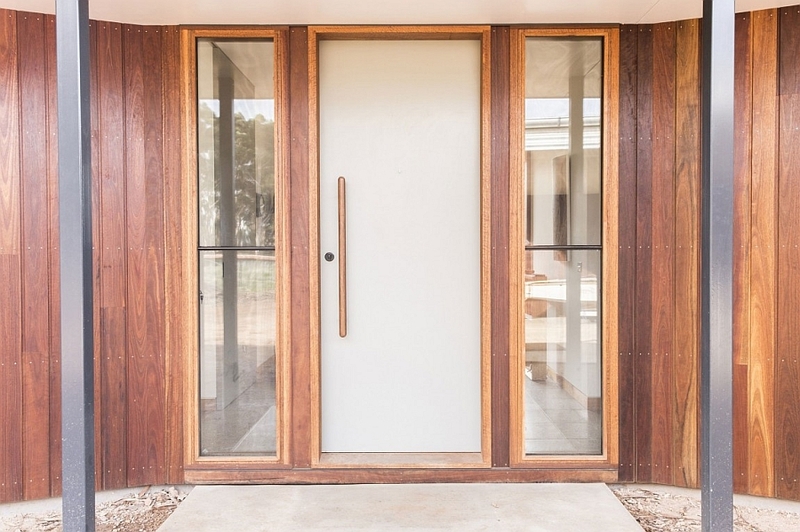 Designed as a prototype for sustainable modular housing units that cut down on energy consumption, the Leura Lane House has been specifically crafted to blend into a rustic backdrop that is away from the big cities. 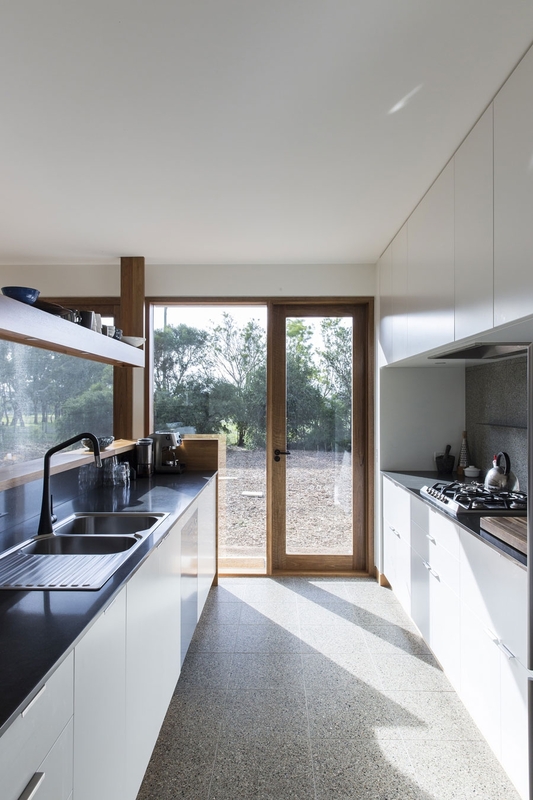 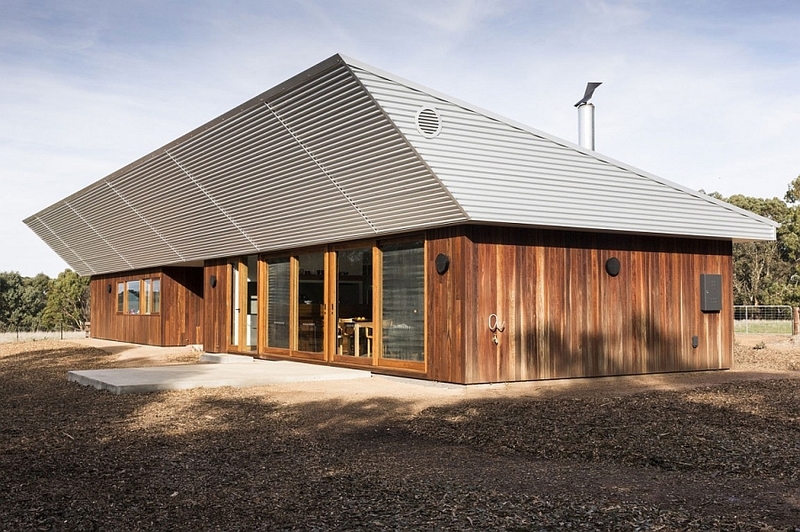 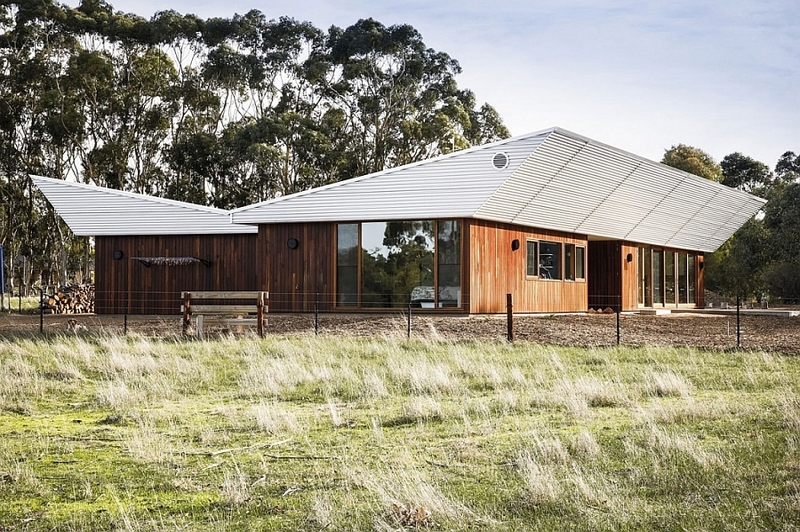 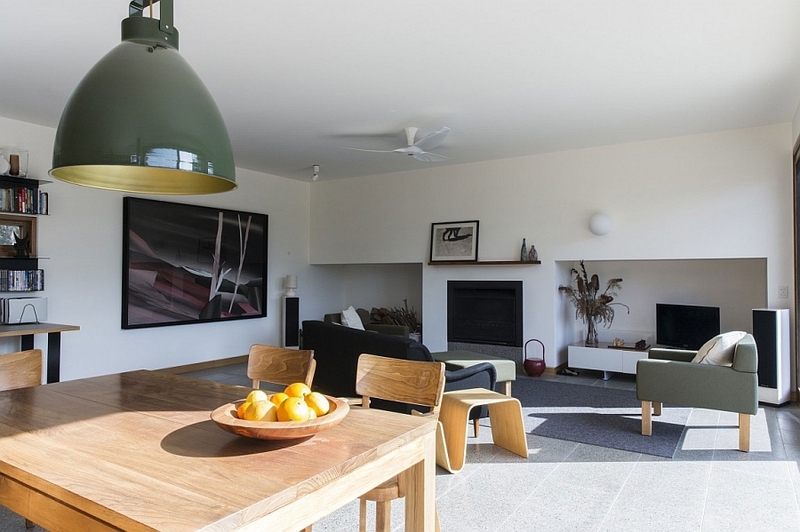 Set in a semi-rural landscape in beautiful in Hamilton, Australia, the orientation of the home is carefully planned to bring in ample sunlight during the cold winter months. 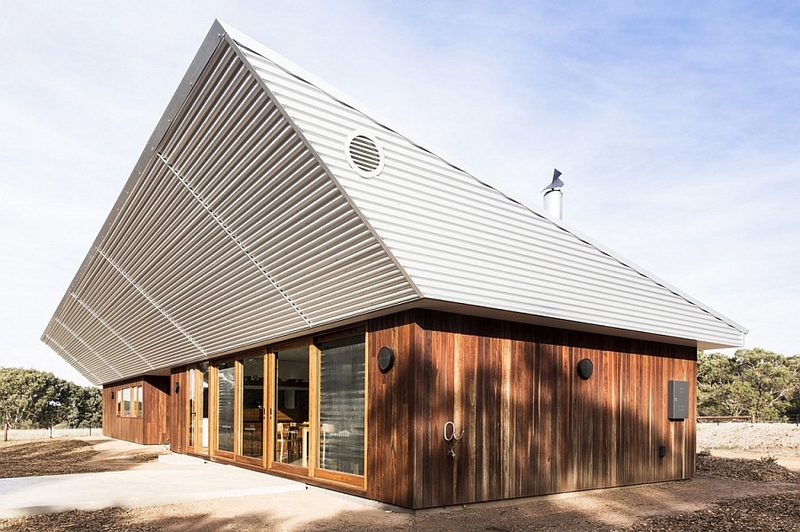 The unmistakable skillion roof ensures that there is ample shade during the hot summer months, even as the thermally insulated floor helps in cutting down the usage of artificial heating and cooling systems. 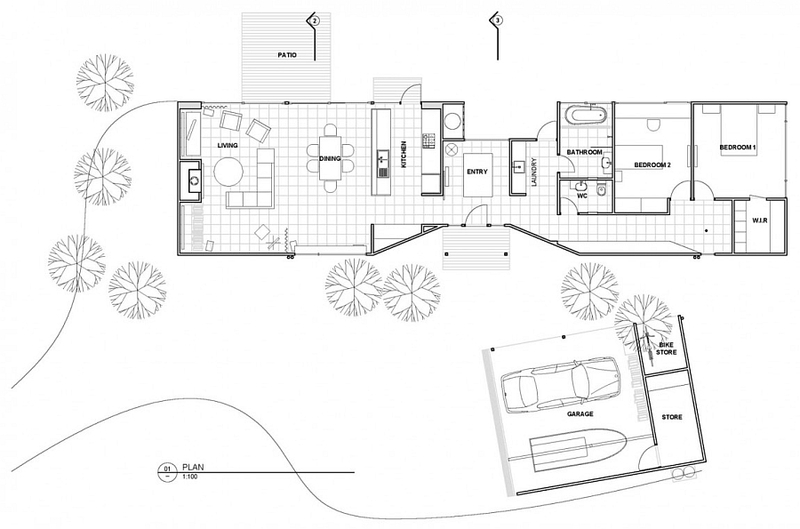 The linear and narrow floor plan of the house also helps in keeping energy usage to a minimum, thanks to the extensive cross ventilation. 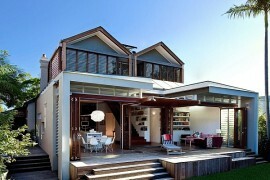 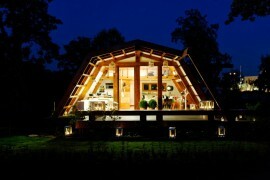 This design also allows the owners to easily add extra rooms to the house as the needs of the family grow overtime. 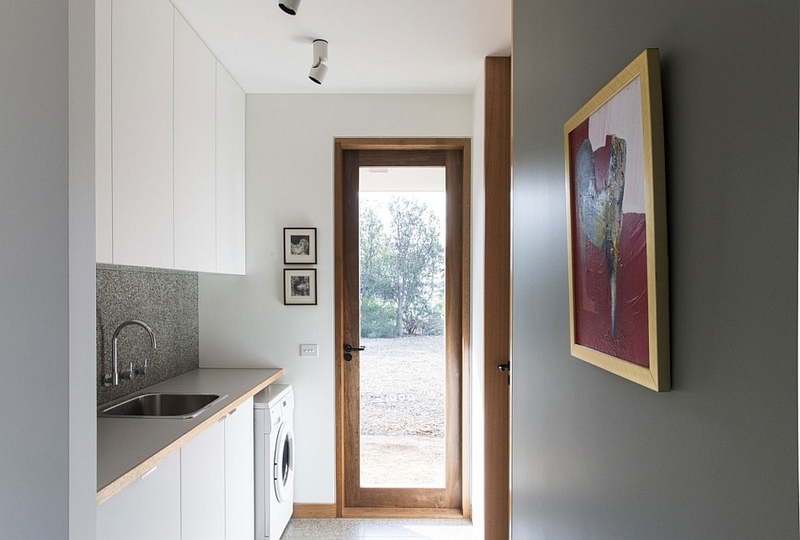 The interior is largely clad in warm earthen tones with grey and white dominating the setting. 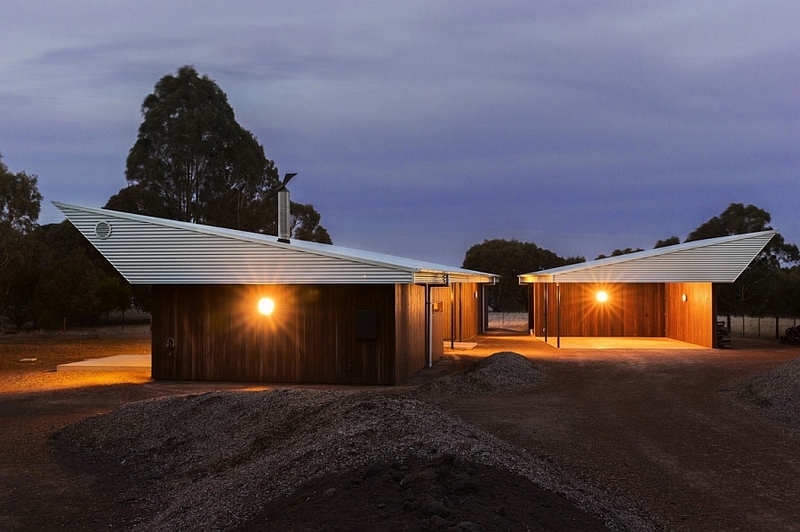 This project is a prototype for a system of energy-efficient modular housing, designed specifically for rural blocks. 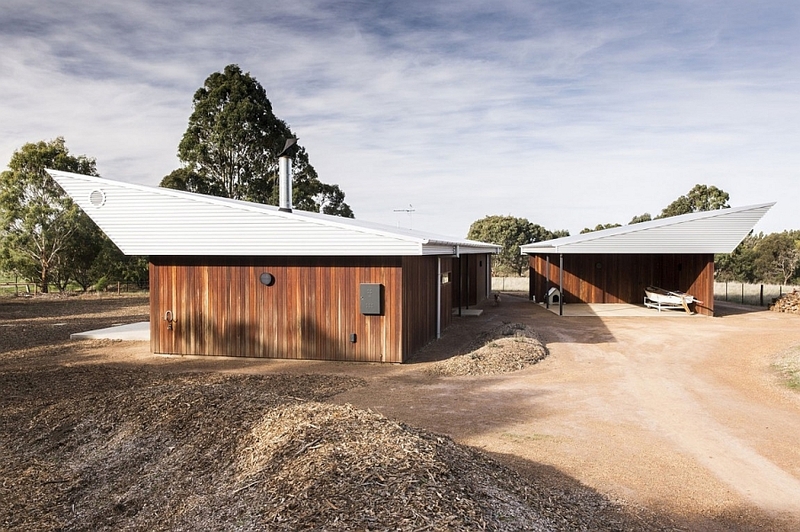 The site is a semi-rural landscape on the edge of town that contained a significant amount of native vegetation. 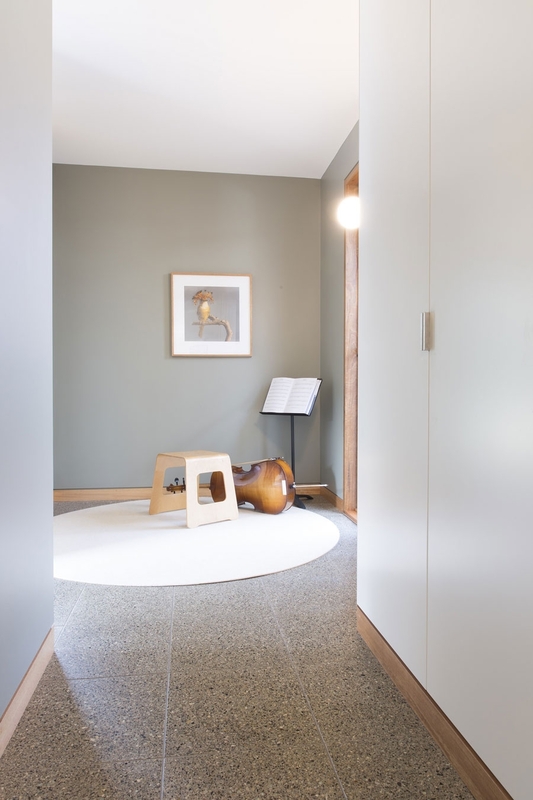 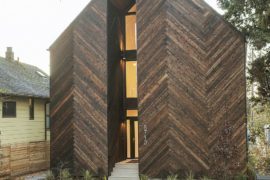 The use of natural materials that responded to this context was an important consideration, and a restrained, simple palette was used both externally and internally. 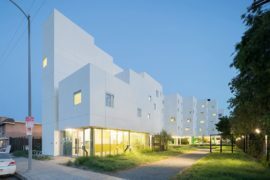 Energy-Efficient 64-Apartment Complex in Los Angeles Makes a Green Splash! 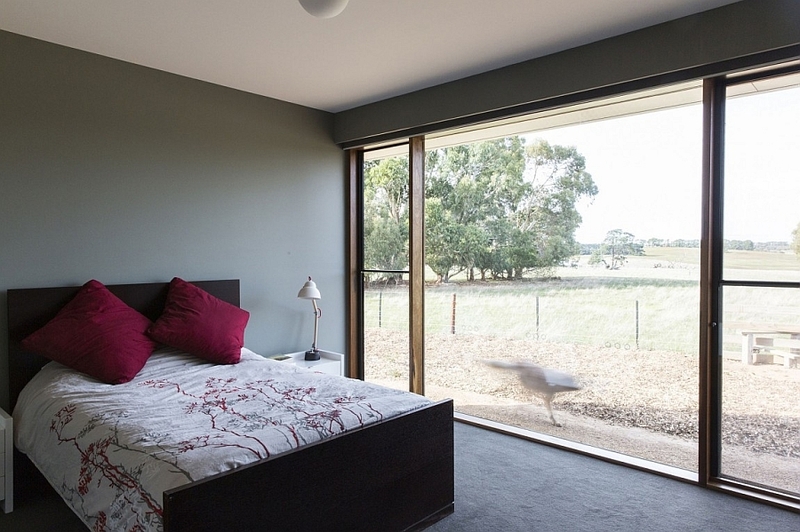 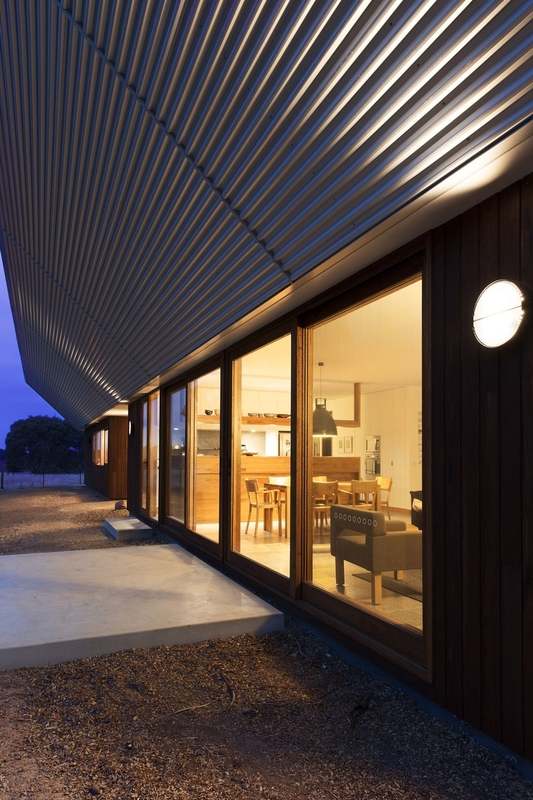 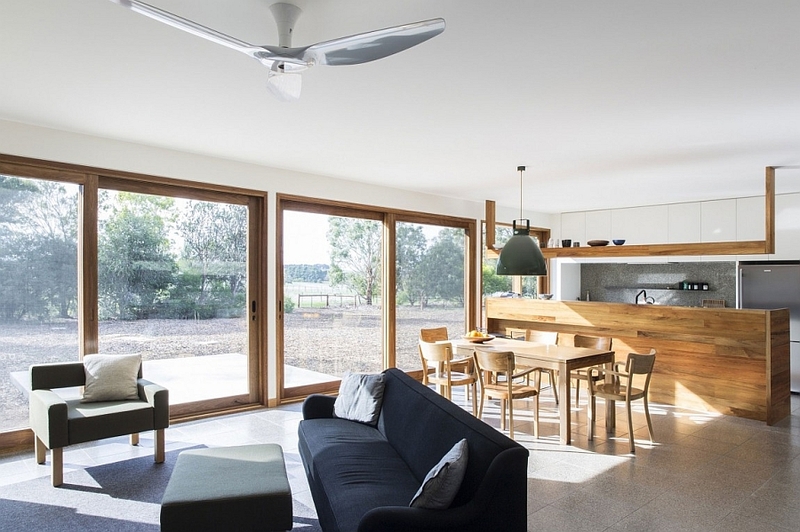 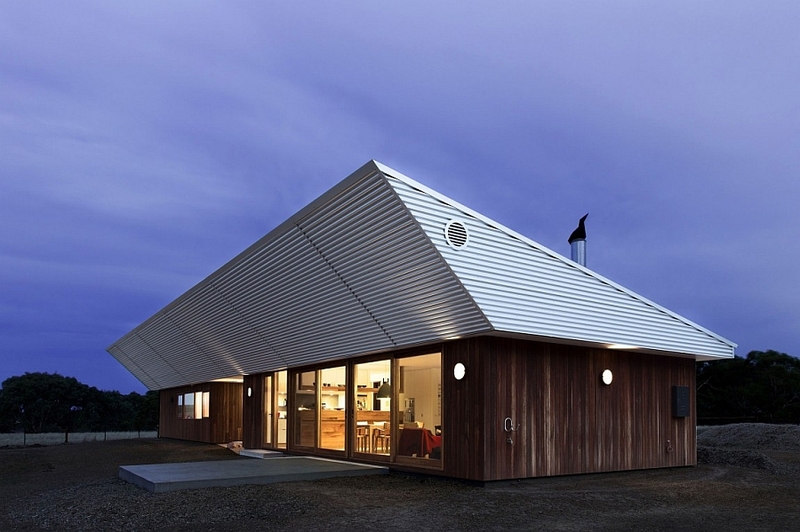 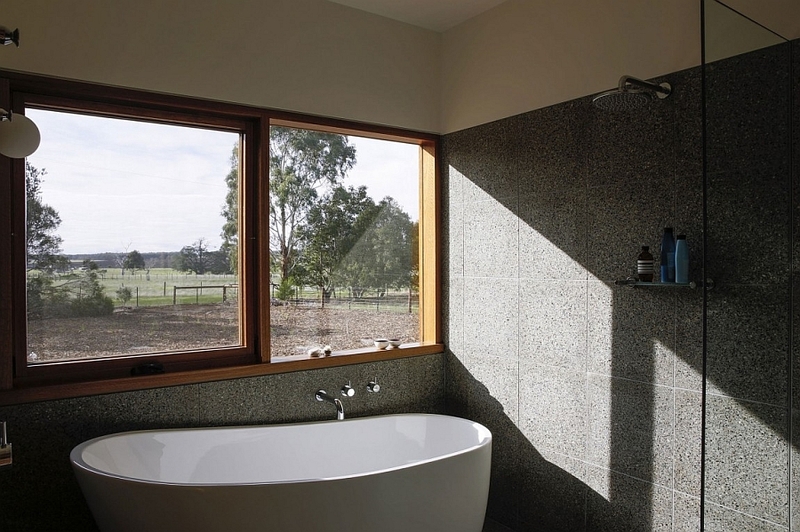 Energy Efficient Design at its Inspired Best: Passive House for Greener Lives!